Birds and bees can find their way using the earth’s magnetic field. Wouldn’t it be awesome if we could sense that field too? Joe Kirschvink thinks we actually can. The earth’s magnetic field is actually quite a weird thing. We still haven’t explained it completely. There are of course some theories. 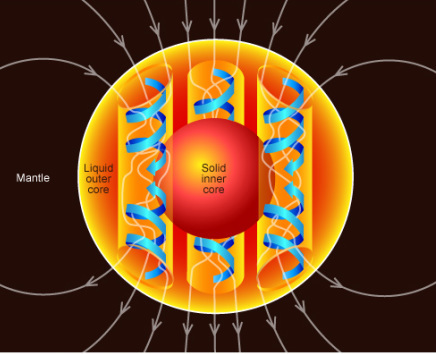 The most common theory is that the magnetic field is caused by the movements of magma in the earth’s core. The magma can conduct electricity, and it moves around in the core, so it creates something like a dynamo effect. It’s much like the dynamo that you use on your bicycle to power your lights. This big earth-dynamo creates a magnetic field, instead of an electric current, like the dynamo on your bicycle. This magnetic field is the reason that a compass points north and birds and bees can find their way. But Joe Kirschvink thinks humans are also able to sense the magnetic field, and not just with a compass. The sensing of magnetic fields used to be something that was put away with telepathy and dowsing. Research about it is nowadays taken more seriously, after it was discovered that many animals have this sixth sense. It isn’t a sense that is located in once specific spot in the body of an animal, like a nose, or eyes, however. 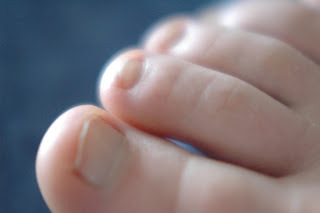 The sense is based on a magnetic protein, cryptochrome, that can be found anywhere in the body. It can even be located in a different place in the body for every species. This also makes it quite difficult to find the protein in humans, since we’ve literally no idea where it could be. ‘The receptors could be in your left toe,’ Kirschvink jokes in Science. If we can find the protein in humans, we could learn a whole lot more about how our brains processes information. And also about how the magnetic sense works in animals. But this magnetic sense could also explain some human behaviour. Like magnetic sensing in turtles can explain the patterns in which the turtles swim. It is unlikely however that you can actually consciously use your ‘new’ sense. The earth's magnetic field gets distorted by electromagnetic waves that are transmitted by phones, computers and other things so they’re basically everywhere nowadays. Nevertheless, Joe Kirschvink is determined to find the magnetic sense in people. “It’s part of our evolutionary history. Magnetoreception may be the primal sense.” he said in Science. Click here if you want to read more biology posts. Click here if you want to read more geography posts.